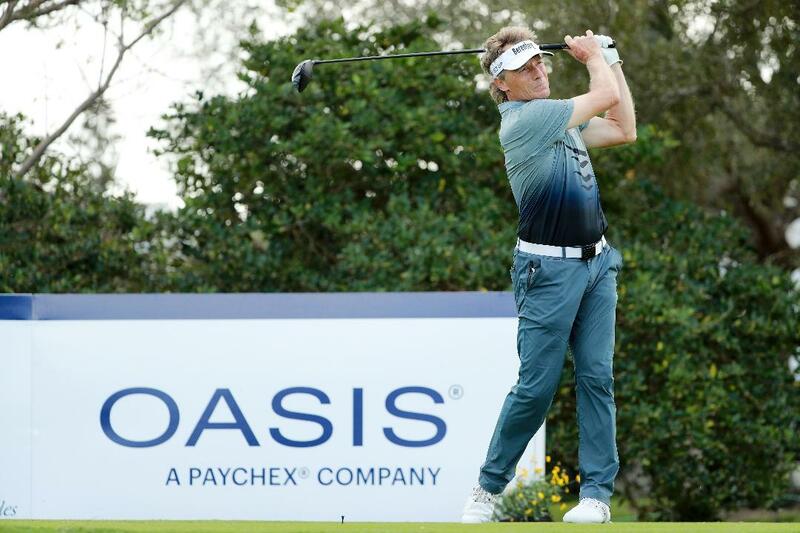 Bernhard Langer's victory in the Oasis Championship was his 39th PGA TOUR Champions title & pushed him past Hale Irwin as the all-time leading money winner at just over $27 million. 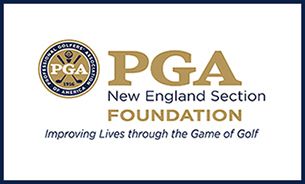 BOCA RATON, Florida – Bernhard Langer’s eagle Saturday on the par-5 18th gave him a one-shot lead going into the final round on Sunday, and he never relinquished that top spot. Although Marco Dawson, Bob Estes, and David Toms tried to apply the pressure, Langer quickly showed them and the rest of the field that the Oasis Championship belonged to him. With five birdies on the first seven holes on The Old Course at Broken Sound and a final-round 65, Langer cruised to a five-shot victory with a tournament-record 19-under 197 in front of record crowds that frequently applauded the 61-year-old Bavarian native’s superior shot making. 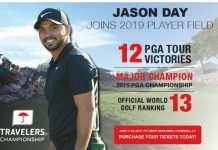 It was Langer’s 39th career PGA TOUR Champions win—six shy of Hale Irwin’s record—and the $255,000 first prize moved Langer with $27,196,504 in career earnings past Irwin’s $27,120,554 as this tour’s all-time leader. Marco Dawson posted rounds of 66-67-69-202 for a 14-under par total only to finish five-shots behind winner Bernhard Langer. 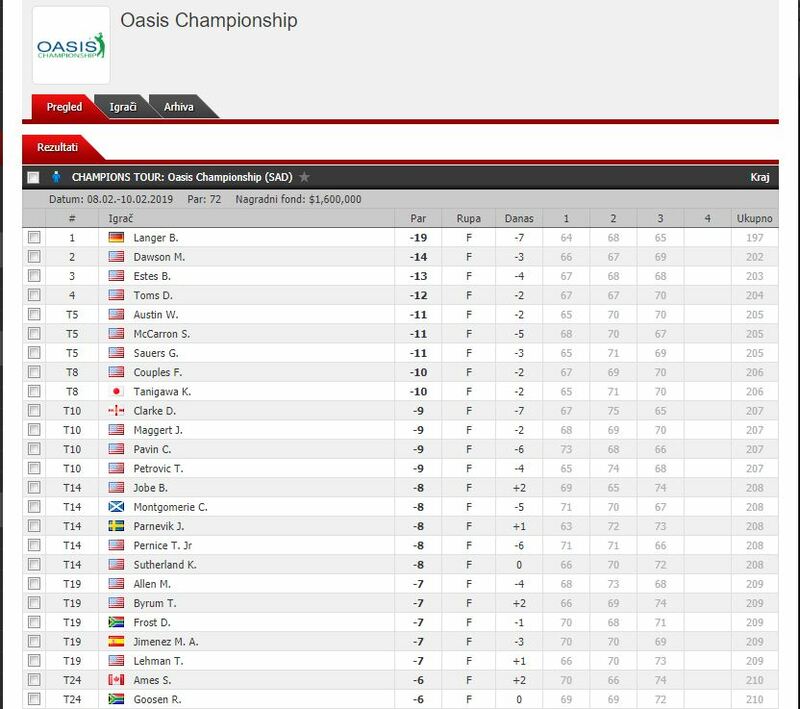 Langer may live 10 minutes from Broken Sound, but he basically owns the Oasis Championship. In 12 starts at Broken Sound, he has two wins, two seconds, two thirds, eight top-10s and has earned $1.2 million. 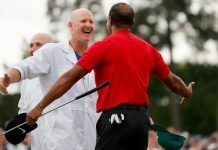 Langer became the first repeat winner in the event’s 13-year history and shattered the previous largest margin of victory of two shots (three times). He made only one bogey all week, on the 17th hole Saturday—and then followed with that eagle on the next hole to take the lead for good. He got to share the victory with his daughter, Jackie. It was the third time she caddied for him, and it was their first win together. For the second consecutive year the Oasis Championship produced a feel-good moment for the winner-caddie. Last year, Mark Calcavecchia won for the first time on the Champions with his wife Brenda on the bag. Final scores at the Champions Tour Oasis Championship at Broken Sound Golf Club in Boca Raton, Florida. So, once again, the Oasis Championship winner was a family affair. 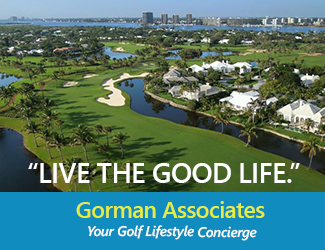 Another well-known family name—Nicklaus—also added to the distinction of the Oasis. 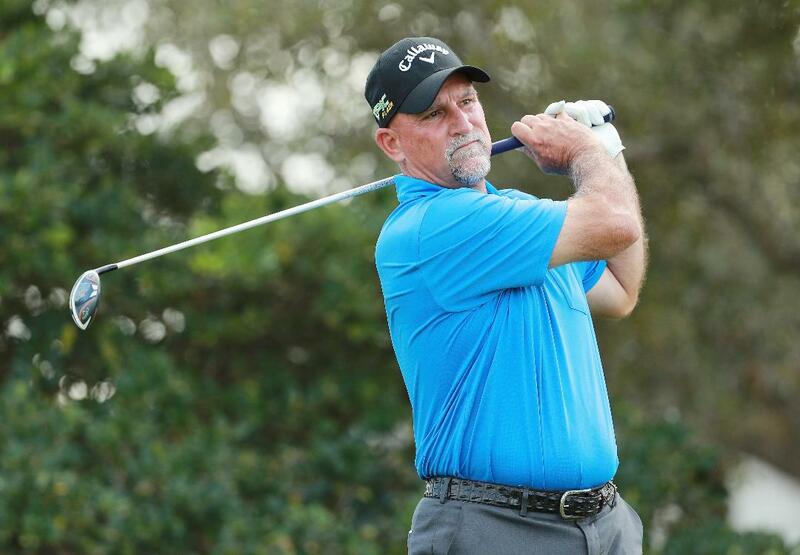 Gary Nicklaus, who turned 50 on January 15, finished T51 in his Champions debut. He said that he learned, once again, something that he already knew. Nicklaus needed 94 putts to get around The Old Course’s greens the three days. He opened with a 5-under 67 to stand T11 after the first round but closed with scores of 77 and 73. Jack was in the gallery all three days. 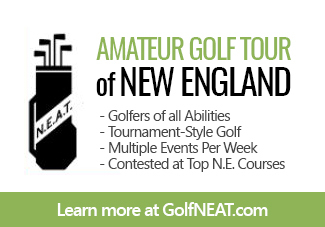 As a caddie, greenkeeper, and Ouimet Scholar from Marshfield Country Club on Boston’s South Shore, Leigh developed his love for the game at an early age. 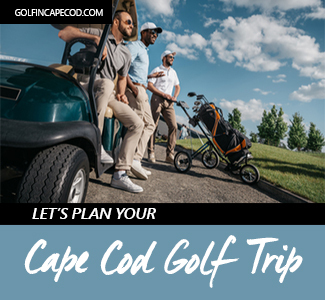 The BA from Amherst College and MA from Dartmouth prepared him for his 36-year career in education, most of it teaching Advanced Placement English and coaching varsity golf. 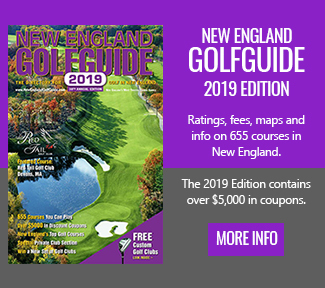 In 1986, a sabbatical from teaching students to writing stories for “Golf World” magazine prepared him for his second career in golf journalism. 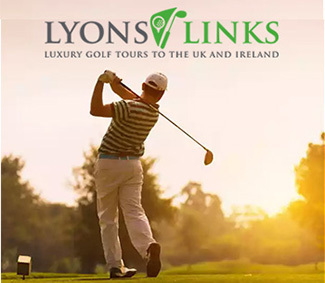 Leigh is a low-handicap golfer who has won the Golf Writers Association of America’s championship seven times. 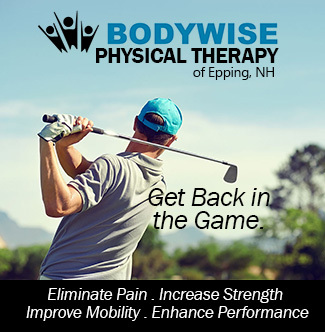 He is currently a member of Southers Marsh Golf Club in Plymouth, MA, and PGA Golf Club in Port St. Lucie, FL.